026 - USA - 2015 - John Macs Travel & Photography. 026 - USA - 2015. 026 - Mesa Verde National Park, Colorado, USA - 2015. We arrived at Mesa Verde National Park, Colorado at around 07:30am this morning. The skies were heavy, the sun just rising, and a little rain, we thought we were in for a bad day but it turned out great. For great atmospheric photo’s, getting into Mesa Verde National Park, Colorado, at around 07:30am was just a perfect start to the day. You can even see the rain in the distance. Mesa Verde National Park, Colorado, USA, is a UNESCO World Heritage Site. Mesa Verde Cliff Palace, the largest and most famous cliff dwelling in Mesa Verde National Park, has over 150 individual rooms. Mesa Verde Cliff Palace has been well preserved from the elements for over the last 700 years. 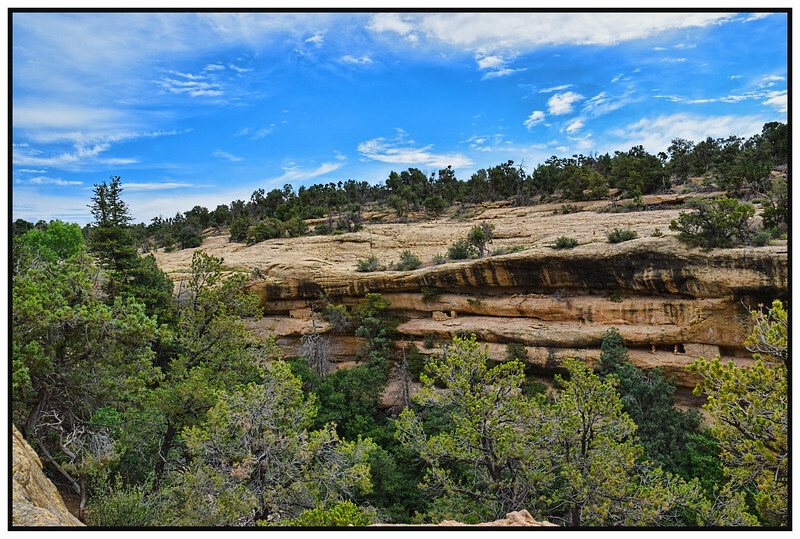 Once we started on our 50 mile round trip self guided tour in Mesa Verde National Park, the weather improved, the views of the landscapes were fantastic. The stunning landscape of Southwest Colorado, is the backdrop as you explore Mesa Verde National Park. Arriving at our motel, The Super 8 Gallup New Mexico, once checked in, we went out for dinner and a couple of beers. The end to another good day. Mesa Verde National Park, Colorado, USA - 2015. Spruce Tree House, Mesa Verde National Park, Colorado, USA - 2015.